Ever needed an awesome phone case for your iPhone? Need an awesome new phone case? Check out our ConceptOne™ Magnetic Phone Cases. 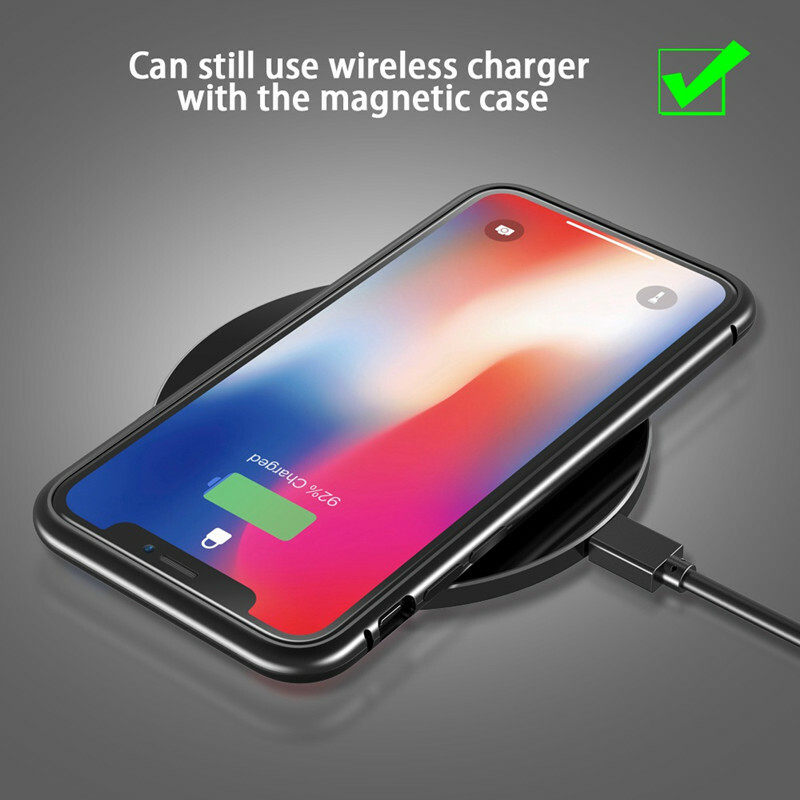 Magnetic Adsorption Technology: Multi-point and strong magnetic field adsorption technology make the case seamless and always make your iPhone stand out among the crowd. 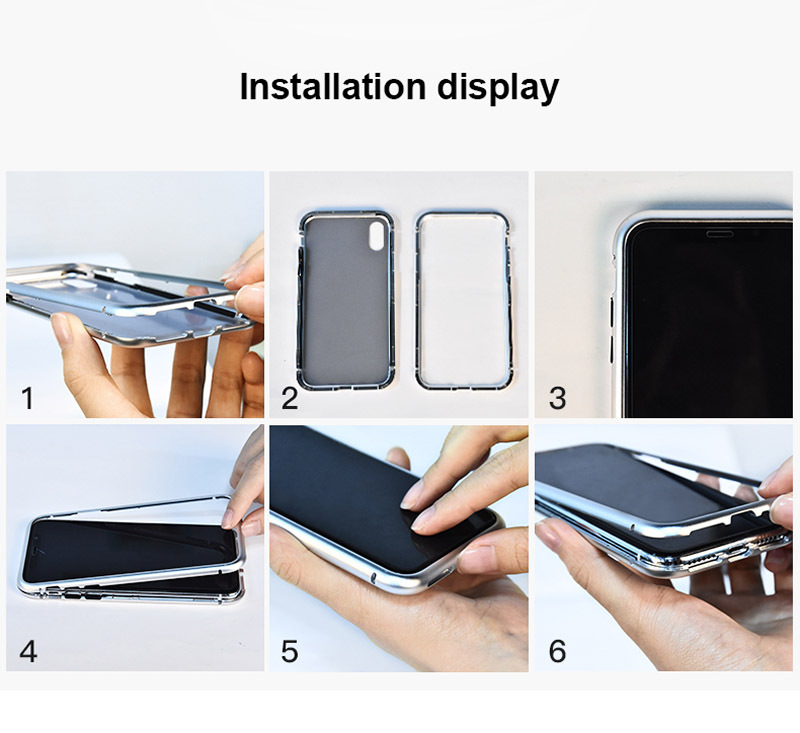 Clear Back: Transparent Back Cover lets you showcase the original phone design that preserves the iPhone natural look. 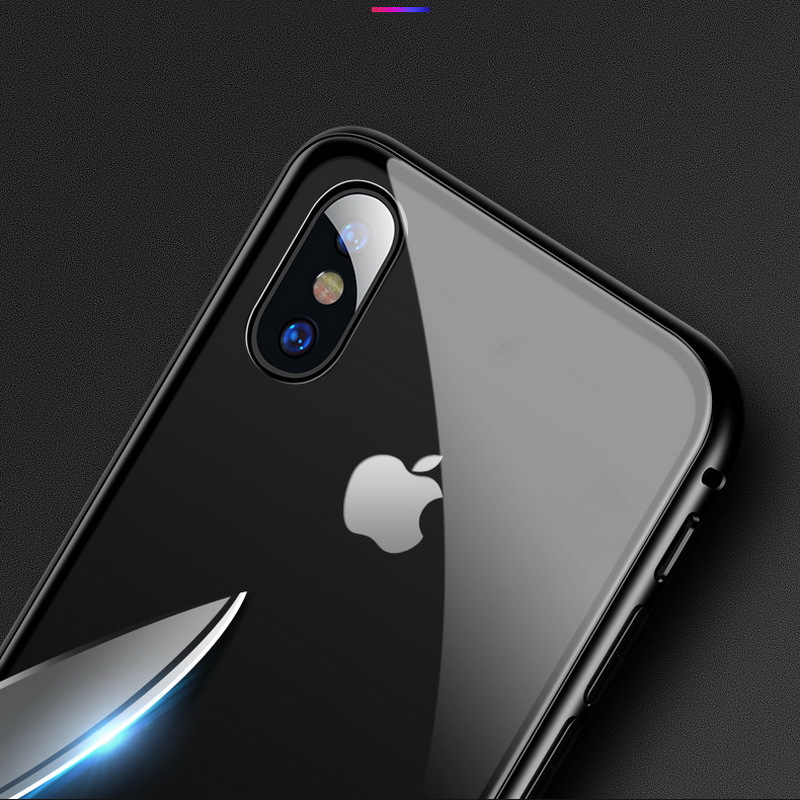 Full Body Metal Frame and Tempered Glass at the Back: Thin, lightweight, 2-piece case made of metal provides protection against drops, bumps, shock, smudges, and scratches. Precise Cut Outs: It's super seamless when the case pieces touch, the slim cover fits well to your device and make it easy to access to all ports, speakers, chargers, and all iPhone features. Note: The Concept One Magnetic Phone Cases are best for iPhone and Samsung smartphones. Select the appropriate model and type in the options above. These custom designed ConceptOne™ Magnetic Phone Cases are a MUST HAVE! Designed with premium high quality material! Very easy to use, excellent instructions, good quality. this is a great choice for a screen protector. The protector lined up perfectly on my screen. I used this same screen protector on my previous phone and the protector lasted the life of the phone. This case is really nice and my daughter loves that it is magnetic, great fit and great price! Works great! My phone fell off my car seat onto the concrete and I thought the edge of my phone on the back was cracked, but it wasnt! The case did its job!! I'll be ordering more-one to replace the one I have now and another one for my son's phone! A superb piece, that works with actual design so beautifully. I really don’t understand the poor reviews. Mine is perfect, and this is really my favorite case that have come across for the iPhone X ever. I use it with a clear cover skin on the touch screen. Perfect. Super strong magnets! It feels great in the hand. Doesn't feel slippery like a naked iPhone or sticky that I've experienced with some TPU cases. I got the case and I've never been more happier with a case than this one. I HATE phone cases, but I actually really really like this one. Great case for my iPhone X. Looks good, looks brilliant. All buttons are protected and easy to use and enough room for most accessories to be plugged in. Obviously haven't tested it but phone does feel protected would recommend for such a great price! Good all-round protection, cool design on the back, and a relatively slim case. nice looking and practically. Easy to install too. My son bought this case for his Samsung phone and it is great. I just purchased a Motorola Moto z3, and I am hoping that you can get cases made for them. Keep up the good work and product. Looks like I made a good deal today. Works fine. Port holes are in correct position. It's light and very comfortable. Recommending this to my friends, and definitely buying more as gift for my love ones this holiday season! Thank you.